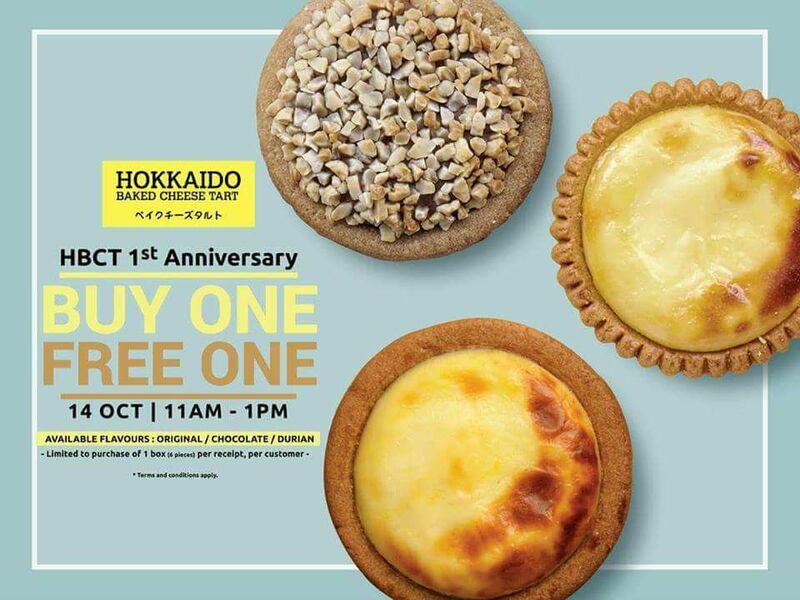 Let's celebrate Hokkaido Baked Cheese Tart's 1st Anniversary this Saturday with buy one free one deal! Limited to purchase of 1 box (6 pieces) per receipt, per customer. The FREE tart must be same or lower value. Valid at all Hokkaido Baked Cheese Tart outlets in Malaysia, on 14th October 2017 from 11am - 1pm. Tart flavours subject to stock availability, whilst stocks last. Not valid with other on-going promotions (Buy 5 Free 1 and Selection of Trio) and offers. Pricing is inclusive of 6% GST.